X-Wing™ Second Edition has arrived. 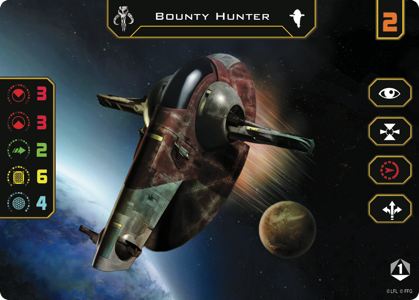 Players everywhere celebrated the game's release at Launch Parties that raced them straight into the game's fast-paced starfighter duels. They got their hands on the new Core Set and starship expansions, and they ripped through fantastic maneuvers in their introductory battles. 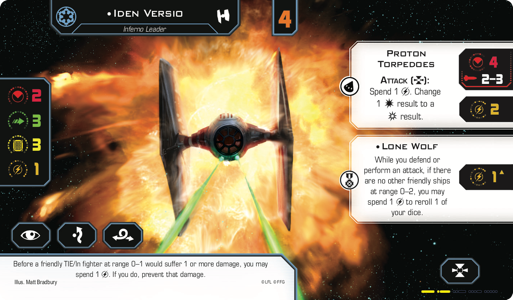 Veterans updated their favorite first edition ships with the different conversion kits and began exploring all the tactics made possible by the new turret arcs, charge tokens, and Force powers. All of this has led us to a point where countless starfighter squadrons are being assembled throughout the galaxy. Everyone's ready for action. So what's next? 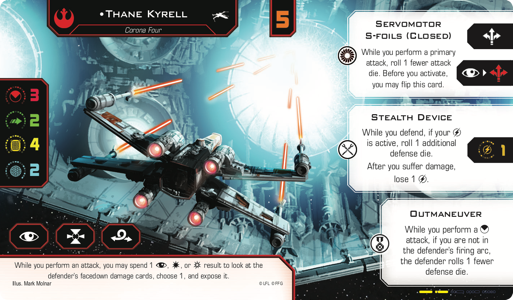 Just as everything that was great about the first edition of X-Wing was rarified and made stronger in second edition, so have we strengthened the game's Organized Play program; we're offering more events and giving our full support to more game modes and styles of play. We want X-Wing Organized Play to reach you no matter where you are—a rookie pilot, veteran ace, or a competent pilot just looking to get through your first battles. This means that we're expanding our support to include everything from weekly play and top-tier tournaments to Quick Build events, themed events, and fun challenges that even newer players can enjoy. And after you've picked up your Core Set, you'll find your jump to hyperspace supported by the activities and prizes associated with the Deluxe Wave Kit! 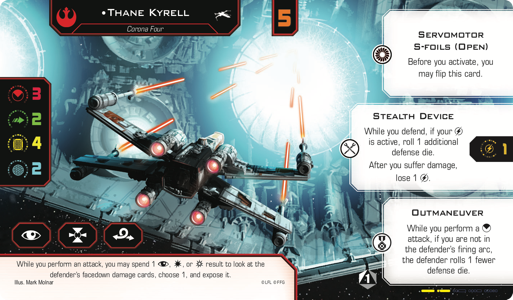 As we stated in our introduction to X-Wing Second Edition Organized Play, each Deluxe Wave Kit is designed to work alongside a new wave of starship expansions by supporting three big community events that complement your weekly Attack Run events and reward you for trying out new ships, pilots, and upgrades. There's a Quick Build Party designed to follow shortly on the release of the new wave. Intended for as many as sixteen players, these events provide you a fast and fun, hands-on exploration of all that your new ships have to offer. 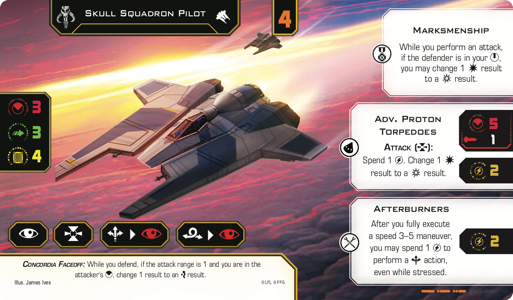 You don't need to mix and match every pilot and upgrade; you just sit down to the table, agree on a threat level for your game, and grab Quick Build cards that add up to that threat level. Then you're good to go. Of course, there's more than to your Deluxe Wave Kit's Quick Build Party than an easy entry point. There's also the chance to try out ships you might never fly elsewhere. In addition to the Quick Build cards you'll find in your products, each Deluxe Wave Kit supports its Quick Build Party by introducing additional Quick Build options on its Enhanced Quick Build cards. Some of these options might not even be legal in a standard game, but the Quick Build Party is your chance to try them out. For example, the Quick Build event for Wave I introduces Enhanced Quick Build cards for Thane Kyrell, Skull Squadron Pilot, and Iden Versio… armed with Proton Torpedoes! You get these Enhanced Quick Build cards just for participating in the Quick Build Party, and you can win even more prizes as you rise to the challenges presented by the event's Challenge Card. For each of these challenges you complete, you earn one metal charge token. Complete all three challenges, and you'll have enough charge tokens for the R2-D2 astromech from the Core Set or to charge up Iden Versio's Proton Torpedoes and Lone Wolf upgrades! The Thematic Tournaments supported by the game's Deluxe Wave Kits use the game's app to prescribe specific squad-building rules. Some may even introduce rules for how you play your games. But all of them will give you and up to fifteen other players new reasons to enjoy your new ships in games that are inspired directly by the Star Wars galaxy, and its heroes, villains, battles, and themes. For Wave I, this means the Thematic Tournament transports you to the Battle of Yavin. As the Death Star moves into position and prepares to fire upon the Rebel base, you'll mobilize your X-wings, Y-wings, TIE fighters, and TIE Advanced x1—among other ships—in X-Wing battles that will look and feel more like the fateful moments near the end of Star Wars: A New Hope. 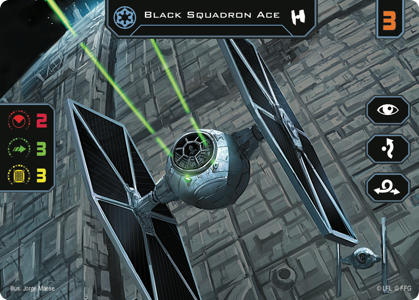 Each participant receives an extended art Black Squadron Ace. 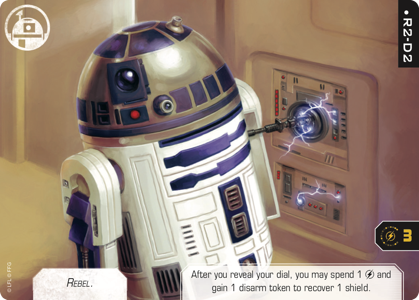 Each player with at least two wins claims an extended art R2-D2. 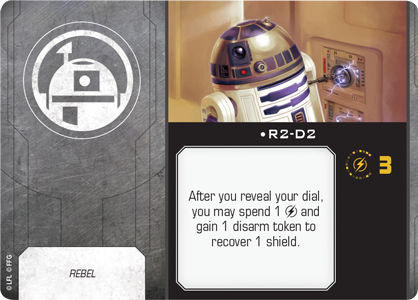 Each undefeated player wins a double-sided plastic card with Black Squadron Ace on one side and R2-D2 on the other… for that extra bit of astromech resilience! 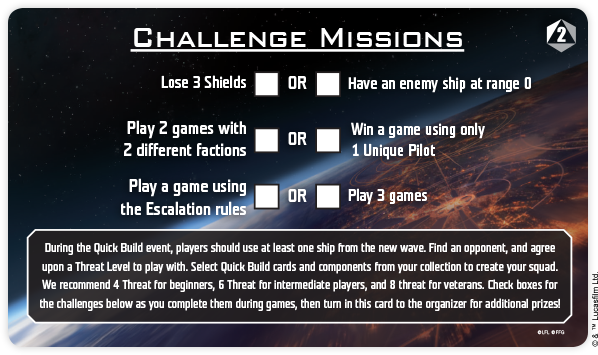 Once per the release of a new wave of products, your favorite local game store will have the chance to host a larger tournament—to offer local aces and squad leaders the chance to break out their favorite ships, assemble their top squadrons, and employ their most competitive strategies. This is the Wave Championship. Serving in place of the first edition's Store Championships, the Wave Championship allows you to compete for local bragging rights and custom prizes. In the Deluxe Wave Kit for Wave I, these prizes are distributed to the Top 32, Top 8, and Top 4 players, as well as the Champion. 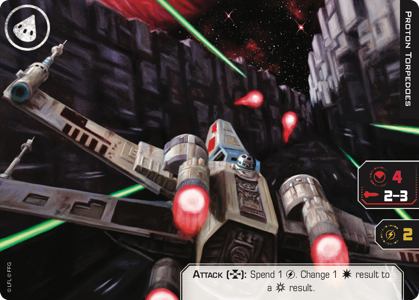 Top 32 – Double-sided extended art Bounty Hunter and Gray Squadron Bomber. Top 8 – Set of three metal charge tokens. 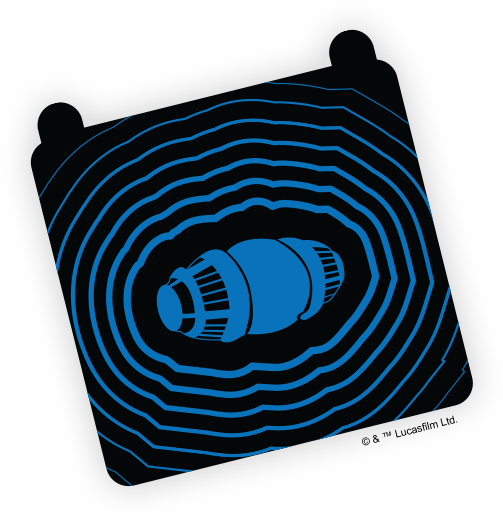 Top 4 – Acrylic Seismic Charge device. 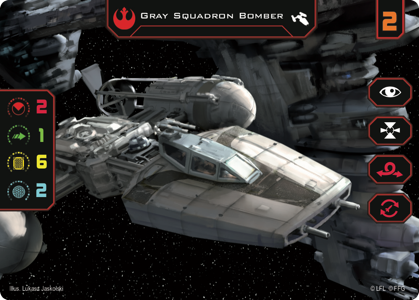 Champion – Double-sided plastic Bounty Hunter and Gray Squadron Bomber. Even as it provides prize support for its trio of events, the Deluxe Wave Kit introduces another set of prizes, as well. It's one thing to claim victory in a single tournament; it's another thing to fly successfully—and land safely—battle after battle after battle. Accordingly, the Deluxe Wave Kit introduces prizes that allow each store to recognize and honor its Wave Leader—the player who scores the most wins in the Thematic Tournament, Wave Championship, and all the weekly tournaments supported by the game's seasonal Attack Run Kits, from the release of the wave through the release of the next wave of expansions. The Wave I Deluxe Wave Kit Wave Leader prizes include a double-sided art print, featuring Thane Kyrell and Iden Versio, and a set of acrylic range rulers. The final element of the Deluxe Wave Kit is the patronage card. Purchase any X-Wing product at a participating retailer, and you'll receive the kit's patronage card—one per player, while supplies last. For this first Deluxe Wave Kit, the patronage card is an extended art Proton Torpedoes. Once you've finished enjoying your Launch Party battles and you're feeling like Dak Ralter—ready to take on the Empire all by yourself—you'll find plenty of action headed your way with the Deluxe Wave Kit and the variety of events it supports. 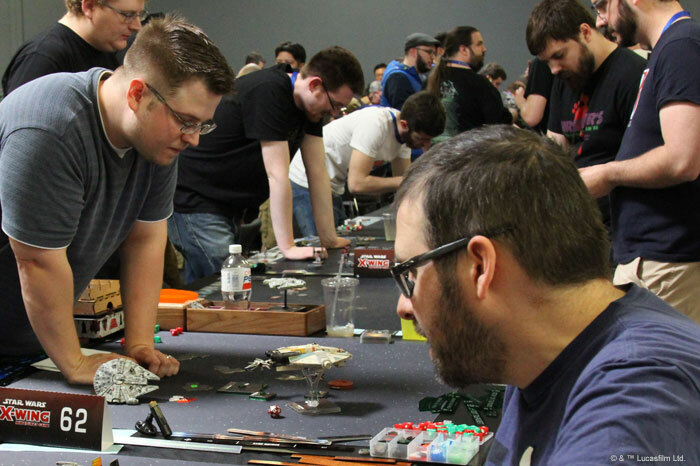 Taken together with the game's weekly Attack Run tournaments, these events promote a range of X-Wing experiences that's wider and more welcoming than ever. 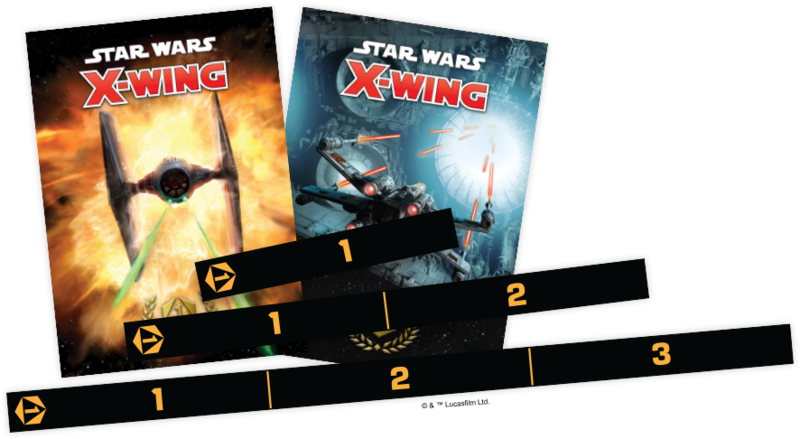 From Quick Build Parties designed to welcome new ships and new players to the heightened competitions of the Wave Championship, X-Wing Deluxe Wave Kits represent the first big step in our upgrade of Organized Play. 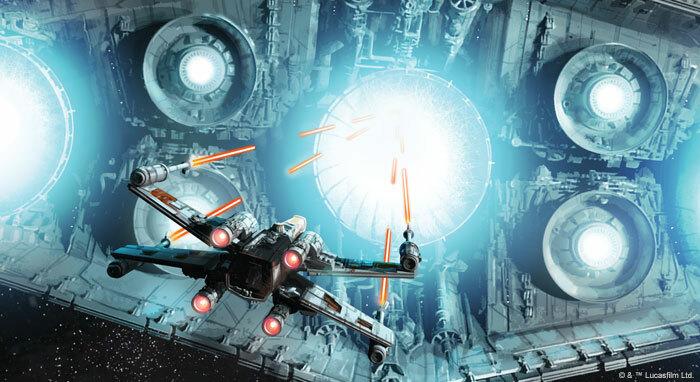 Be a part of the galaxy's greatest starfighter battles. Talk to your favorite local game store about getting involved with the Wave I Quick Build Party and the other events supported by the Deluxe Wave Kit for X-Wing Wave I!